By	David L. Mason, Ph.D. Listen as David Mason, Ph.D. discusses the five essential ENGAGEMENT MAGIC keys (Meaning Autonomy Growth Impact Connection) that managers need to cultivate lasting employee engagement with their teams. These keys are taken from the book, ENGAGEMENT MAGIC: Five Keys to Unlock the Power of Employee Engagement. Download your employee engagement survey right here. David leads the Learning and Curriculum efforts at DecisionWise, and is responsible for the design of our training, facilitation, and workshops. He leads sessions throughout the world on employee engagement and workplace learning. 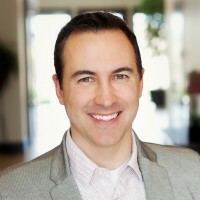 Having completed a Ph.D. in Psychology at Columbia University, and undergraduate and graduate degrees in Psychology at Brigham Young University, Dr. Mason turns his understanding of adult learning and psychology into business concepts, working with numerous businesses and academic institutions.